Three orphaned cougar cubs are rescued and raised in captivity in an attempt to release them in the wild. 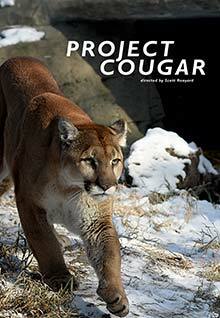 This experiment is woven through reenactments of cougar attacks and theories about what might cause a cougar attack and whether the experiment is likely to fail. DISCOVERY CHANNEL presents a KINGSMERE FILMS INC. and TWILIGHT PICTURES INC. production, executive producer DON YOUNG, producer SIGNE OLYNYK, director SCOTT RENYARD, narrator JAMES FRANCEY, executive for Discovery Channel, JOHN PANIKKAR, editors JAMES FRANCEY and PAUL HELMER.